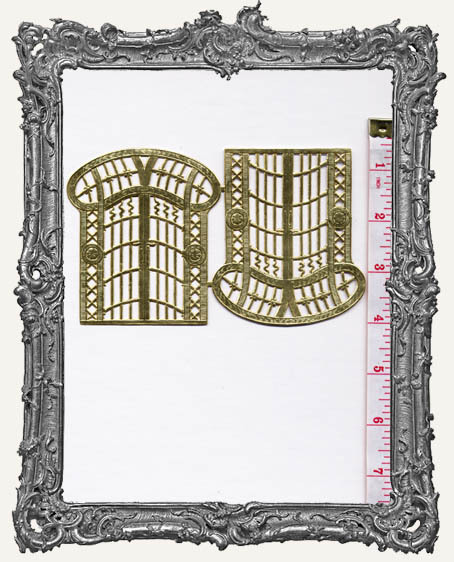 * Gorgeous gold gates or windows perfect for so many projects! 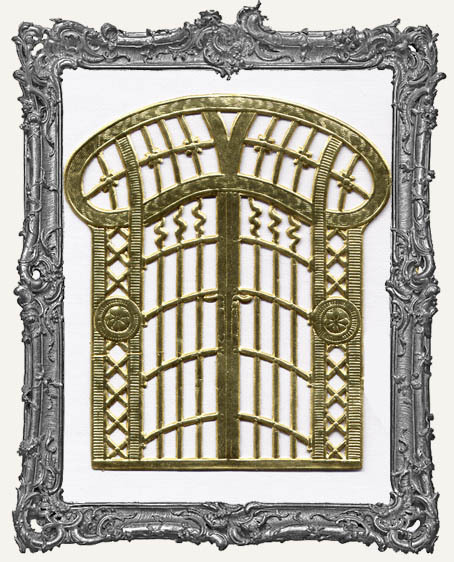 Each gate measures 3.5" tall x 2.5" wide (not including the overhang at the top. Included measures 3" wide). Great for ATCs! Keep in mind you can also trim out as little or as much of the gate as you would like for a little variation. You will get one sheet with 2 pieces! The pieces have a gold foil finish on the front and white paper on the back. Also available in gold.